The Union Budget has introduced a 10% LTCG tax on gains made above Rs. 1 Lakh. Here’s what that means. In line with expectations, the government has reintroduced the Long Term Capital Gains (LTCG) on equity investments. Capital Gains are the profit an investor generates on selling capital assets for a price higher than their purchase price. They are classified as Short-Term Capital Gains and Long-Term Capital Gains. In India, the LTCG on stocks and equity Mutual Funds were tax-free for the last 14 years. But the short-term gains are taxed at 15 percent. The government has now introduced a 10% LTCG tax on gains made above Rs. 1 Lakh. Here is all you need to know about the LTCG and how it will impact your investments in equities. Since it is a Direct Tax proposal, it will be applicable for the Assessment Year FY19-20 (Financial Year FY18-19). In other words, the LTCG over Rs. 1 Lakh made for the year FY18-19 will be liable to tax at 10%. Does it mean that there is no LTCG for Assessment Year FY18-19 (Financial Year FY17-18)? One needs to understand the exact proposal in the fine print. However, it appears that any LTCG will not be applicable for FY18-19 on plain read. This question frankly needs a greater degree of expert study. What is the relevance of the cut-off date of January 31, 2018? What happens to my tax liability if I sell stocks starting today held for more than a year? Part 2: LTCG made after January 31, 2018. This will be sale price minus the highest price of the stock on January 31, 2018. What should be the strategy now on equity investments? Any equity investor wishing to reduce the LTCG tax liability can sell stocks starting today till March 31, 2018, and incur zero tax provided the holding period is more than a year. However, one can continue to buy equity shares without any hesitation. Any future sales after March 31, 2018, have to be judiciously chosen to minimise the tax liability. Assuming equity investments yield a return of 15% every year, an investment of Rs 6.66 lakh each year will rise to Rs 7.66 lakh in a year and gains booked thereof will be tax-free. Even if the gains exceed 15% to, say, 25%, the LTCG tax will be Rs. 6,667 only. Does this make equity investment unattractive? Short answer: No. It doesn’t. The tax is not retrospective. The Indian markets continue to have great long-term prospects with projected economic growth pegged at 7-8% per annum. If you’re an investor looking for long-term returns, you should not pull out and remain invested. If you’re a Mutual Fund investor, you’re still using the best savings instrument there is and will continue to earn long-term returns better than most asset classes. The introduction of the LTCG should not change your long-term outlook. 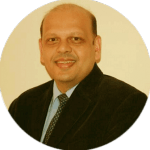 Our Legal Eagle Parag Mathur has over 17 years of experience specialising in regulatory liaison, Insurance & corporate law, JV management, compliance, anti-fraud and risk management framework. This smart cookie, a Fellow Member of the Institute of Company Secretaries and Law degree holder, has been part of the leadership at Exide Life with experience across the IT/ITES, Telecom and Insurance sectors. When he’s not dishing out stellar Legal guidance - drawing on his 10+ years of insurance domain expertise, this master chef can be found crafting sumptuous culinary delights, travelling or playing a game or two of badminton and table tennis. As far as we know, there are no tax implications of transferring shares to a joint account where you are the primary holder. We suggest that you get in touch with a chartered accountant just to be sure.